These great little foam covers fit all earbud style earphones for improved comfort and fit. Your earbuds don't have to hurt your ears anymore. Now available exclusively in elegant black. Got Ears? Brand Foam earbud Covers (Pack of 25 Pairs)5Scott MacKenzieAugust 20, 2016Great product & fast shipping. Got Ears? Brand Foam earbud Covers (Pack of 25 Pairs)5CharlesDecember 18, 2014I couldn't be more pleased with my recent order. The freight may have been slightly higher than I would like but the products and service were top notch. Got Ears? Brand Foam earbud Covers (Pack of 25 Pairs)5Jim TheisenAugust 24, 2014Best find economically even with the shipping costs. Very happy with my purchase. Got Ears? Brand Foam earbud Covers (Pack of 25 Pairs)5MikeJune 19, 2013If you're like me, those standard Apple earbuds won't stay in your ear! These foam earbud covers are the answer! The prices here are good too. I ordered a single pack that contains 25 pairs for $3.75. The additional shipping cost was $5. Compared to a package of six for $10 at a retail store, the $8.75 is worth it. Got Ears? Brand Foam earbud Covers (Pack of 25 Pairs)4DanApril 8, 2013great value . . . got here quickly, first one tore while putting on; more careful for the next one. Got Ears? Brand Foam earbud Covers (Pack of 25 Pairs)5Irene M DoroshMarch 30, 2013Easy ordering, came quickly and its exactly what I needed. An entire bag at such a great price!!! I am very happy :)! Got Ears? Brand Foam earbud Covers (Pack of 25 Pairs)5Peggy TMarch 17, 2013Spectacular service and great price! I selected the cheapest delivery option and it got to me in half the time they said it could take. I would definitely buy from this seller again. Got Ears? Brand Foam earbud Covers (Pack of 25 Pairs)4Terry jonesMarch 1, 2013Excellent atholing ear mikes in the ear. Got Ears? Brand Foam earbud Covers (Pack of 25 Pairs)5vince gFebruary 16, 2013Decent quality, exceptional price. No complaints...not one. Got Ears? Brand Foam earbud Covers (Pack of 25 Pairs)5TishaSeptember 18, 2012They perfect. Most of the ear phones that are been made can't fit my ear, so I'm so appreciate that I was able to find this website. The price I paid is unbelievable. They are comfortable. You will enjoy them. Got Ears? Brand Foam earbud Covers (Pack of 25 Pairs)5LoringSeptember 3, 2012Replaced every earbud cover I've got and have plenty in reserve. Ear covers aren't rocket science. These are good bud covers, lots of them, and they work fine. Got Ears? Brand Foam earbud Covers (Pack of 25 Pairs)1JohnnySeptember 1, 2012I bad color was not what was pictured, tear easy when installing. For the price they are ok don't think they will last long. Can't find in stores anymore. Got Ears? Brand Foam earbud Covers (Pack of 25 Pairs)5MarianMay 12, 2012Great price. Fast delivery. Easy to attach. Finally a product that is just as advertised! Got Ears? Brand Foam earbud Covers (Pack of 25 Pairs)5ShaggyMarch 14, 2012Easy to order, came really quickly and I will be back in 6 months! Got Ears? Brand Foam earbud Covers (Pack of 25 Pairs)5TravelerJanuary 19, 2012Just as advertised. Excellent covers at great price with reasonable cost of shipping and fast shipping. Highly recommended. Got Ears? 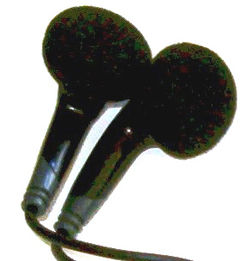 Brand Foam earbud Covers (Pack of 25 Pairs)5KeithSeptember 3, 2011Fast delivery and good value. I put new ones on all the ear buds I have, including a Sansa Fuze, an Ipod and 2 generic sets of ear buds. The covers fit on all of them snugly. Got Ears? Brand Foam earbud Covers (Pack of 25 Pairs)5DeeJuly 29, 2011Great service! Quick delivery and a good value! Got Ears? Brand Foam earbud Covers (Pack of 25 Pairs)5MarcJuly 14, 2011I recently placed another order for a large quantity of foam ear bud covers. The order process was quick and I had the foam covers within 3 days. Kudos to Earplug Superstore for a superior experience..I'll be back to order again when I run out. Got Ears? Brand Foam earbud Covers (Pack of 25 Pairs)5geneMay 27, 2011We couldn't believe the quality of the plugs plus the low cost. It was a great it for us. Got Ears? Brand Foam earbud Covers (Pack of 25 Pairs)5MaryMay 23, 2011I have ordered these 3 times and love them! They are a little tricky to get on but other than that, they are excellent. People always ask about them and I end up giving away pairs! Got Ears? Brand Foam earbud Covers (Pack of 25 Pairs)5GingerApril 5, 2011These covers are just fine. Yes, they're tight..but that's what you need. I had no problem putting them on Sansa buds. Got Ears? Brand Foam earbud Covers (Pack of 25 Pairs)5RonMarch 29, 2011Fit my Zune and iPod ear buds pefectly and very comfortable. Very inexpensive but work perfectly. Got Ears? Brand Foam earbud Covers (Pack of 25 Pairs)4SarahMarch 22, 2011This is my 2nd purchase of the 25 pack. The first pack lasted a few years with the exception of the last 10 or so; I seemed to be going through one a week. But they're inexpensive and come in a large quantity, so it's a worthwhile purchase overall. Got Ears? Brand Foam earbud Covers (Pack of 25 Pairs)5Dr. BillFebruary 24, 2011What's not to love? They work great, come in mass quantities, and are cheap! I bought 2 packets, which should keep me in covers for the next umpteen years. Yes, they are a bit tricky to put on, but once on they stay on very well. They are a comfort necessity for any in-ear bud-type device, but surprisingly a bit difficult to find, especially at this price. Got Ears? Brand Foam earbud Covers (Pack of 25 Pairs)5FrankFebruary 17, 2011I could not find earbud covers anywhere for my motorola Bluetooth/headphones... the ones that came with it fell off within a month and lost them... now I have many pairs... they fit perfectly and they're inexpensive... I don't need to buy another pair of earphones just for their earbud covers... AWSOME...!!! Got Ears? Brand Foam earbud Covers (Pack of 25 Pairs)5Noel ForbesFebruary 15, 2011They work just fine and the price is very reasonable. Got Ears? Brand Foam earbud Covers (Pack of 25 Pairs)4MarkFebruary 7, 2011I would have given this product 5 stars but didn't because they seemed difficult to put on the ear buds.